If you are looking for great gospel piano lessons, hopefully this page can help you to find what you're looking for. Here's what I've learned I need to play gospel and where to find great gospel lessons. Playing gospel requires a number of things. And there are a number of things that will really help you if you know them. In order to play gospel, you need to learn chords. Chords are what you'll be reading, creating around, listening for, etc. For gospel, you need to know more than the major and minor chords. There's a lot of free information on this site about chords. It's a good basis for many types of piano - especially gospel. You can click here to go the gospel chords section. After you learn chords, you need to learn a bit about filling in the chords. This means playing extra notes besides the chords. Some sound good and some don't. If you've heard of riffs, learning how to make them will take you a long way and have everyone thinking you're an amazing player. If you can learn to play chords (at least a little) by ear, it is a definite benefit. When someone in your band or the pastor wants to play a song you don't have the music for on hand, it's really handy to just play what you need to play. Playing by ear is a fantastic skill to have! One more thing is bass lines. Playing a good bass lines will really fill out the music you make. The rest comes with practice and experimentation. You need to find your own sound and style. If you play a little, you already have the beginnings of your own sound. Practice will bring if out more. It's not easy to find a gospel piano lessons teacher. The best thing to do if you want a private teacher is try to someone who plays gospel really well. Then, ask them if they'll teach you. If you're open to learning online, the best gospel course I've found is offered by Hear and Play. They really emphasize playing by ear and chords and are very well organized in their teaching structure. They have a number of different levels. If you're a beginner or trying to improve your style, check out Learn To Play Gospel Piano. Not a beginner? Need something more advanced? 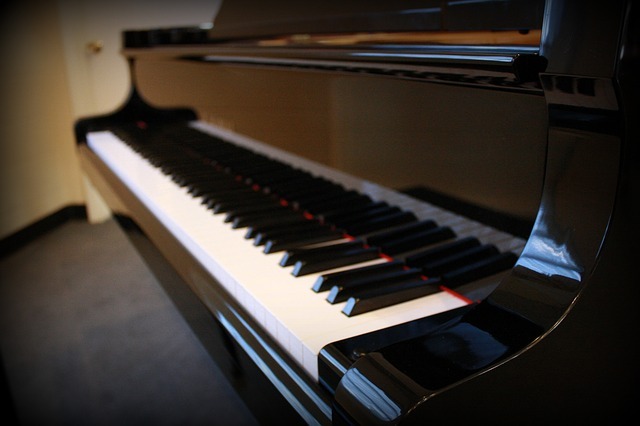 Return from Gospel Piano Lessons to Piano Lessons Info Homepage.